Can NASA Find Forms of Life on Other Planets? Is NASA searching for aliens on far-away planets? Not quite, but scientists and astronauts alike are confident that life exists beyond planet Earth. "Just mathematically, it makes sense that there's got to be something out there," astronaut Michael Massimino said on "New Day" Thursday. The Kepler space telescope, launched in 2009, enables NASA to see deeper into space than ever before, providing new insights about the existence of life elsewhere. Scientists estimate, through Kepler-gleaned data, that almost every star in our galaxy is circled by at least one planet. What we shouldn't expect to find, Massimino explained, are full-fledged, human-sized creatures. Should evidence of life turn up on another planet, it will likely be "microbial, some small organism," Massimino said. Potential size, however, isn't reason to discount the significance of finding other forms of life. "That would be the greatest discovery ever," Massimino said. In today's edition of the "Good Stuff," generous employees go above and beyond for an American veteran helpless on the floor. CNN's Chris Cuomo reports. Michael Solsona lost his legs in Vietnam when he was 20-years-old, and has since used a wheelchair to get around. Yet Michael's current wheelchair is old and in poor condition; he has been asking and waiting for a new wheelchair from the VA for years. Perhaps unsurprisingly, given recent revelations, his requests to the VA have fallen on deaf ears. When Michael visited a Lowe's on Staten Island last week, his wheelchair finally fell apart, right under him. Michael and his wife, Frieda, were stuck - or so they thought. "I said, 'Oh no Michael, what are we going to do? We don't have any tools. And he said, 'Hello are you crazy? We're in Lowe's. We're in the tool capitol of the world!'" Frieda recalled. The Solsonas planned to take the wrecked wheelchair home and fix it themselves, but three employees weren't having it. Over the course of 45 minutes, they repaired Michael's wheelchair. The good news, though, doesn't end there. Michael's story went viral, garnering enough attention for the VA to take notice. They finally sent Michael a new wheelchair. The wheelchair fixed by the employees will now be his trusted backup. See the full story at CNN affiliate WABC, and if you have #GoodStuff news, let us know. 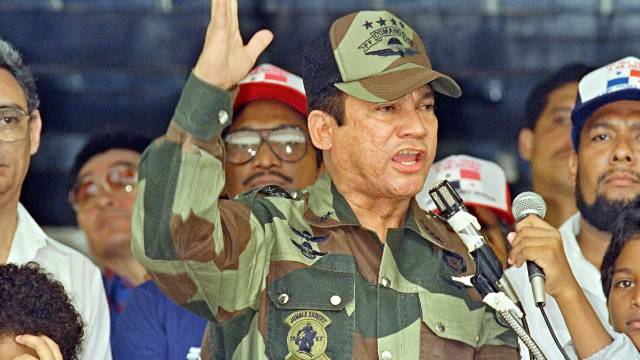 Former Panamanian dictator Manuel Noriega, shown here in 1988 military ceremony, says a video game damaged his reputation. Former Panamanian dictator Manuel Noriega has a message for the publishers of a popular video game that features a mission to capture him: You owe me money. In a lawsuit filed in Los Angeles County Superior Court on Tuesday, the 80-year-old once known as one of Latin America's most powerful strongmen accused the Activision Blizzard video game company of harming his reputation with "Call of Duty: Black Ops II." Noriega - convicted of drug trafficking, money laundering and killing political opponents - is serving out a prison sentence in Panama,where he was extradited in 2011. He argues in the lawsuit that his portrayal "as a kidnapper, murderer and enemy of the state" in the 2012 video game damaged his reputation. The company used his image and name in order to make make money, the lawsuit says, therefore he's entitled to a share of the profits. "Plaintiff was portrayed as an antagonist as the culprit of numerous fictional heinous crimes, creating the false impression that defendants are authorized to use plaintiff's image and likeness," the lawsuit says. Activision Blizzard did not immediately respond to a request for comment.